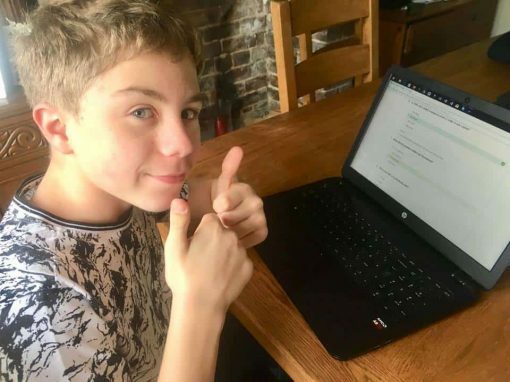 My 12-year-old son Oliver really wants to improve his grades as he heads towards his GCSE years but getting him to do the work at home is quite a challenge so when I was asked to review a site called Education Quizzes which claims to make learning fun, I was all for letting Oliver trial it and see what he thought. The site offers quizzes covering all subjects and ages from Key Stage 1 right to to GCSE level. All the quizzes are created by teachers and there are over 4,000 to choose from! The site itself is incredibly easy to navigate with the different key stages down a left-hand side menu and the different subjects split within each category. The tests aren’t arranged alphabetically but they are really easy to look through and we didn’t find it a problem to choose a test that Oliver was interested in. 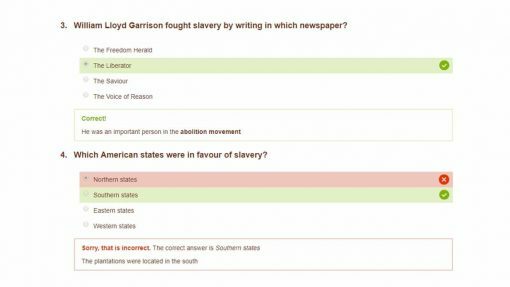 The first quiz Oliver chose was the KS3 history quiz on the abolition of slavery as he is covering this at the moment and was interested to know how he would perform. Each quiz starts with a couple of paragraphs which give a broad overview of the topic in informative but easy to understand language which made it easy for Oliver to read through (important as he has very strong dyslexic tendencies). The questions all have multiple choice answers which I think is great as it takes the pressure off thinking of the correct answer and it helped Oliver to move through the questions quicker. Regardless of whether the correct or incorrect answer is selected, a small explanation pops up to either give extra information to explain the correct response further or reinforces the answer they got right. I liked this as either way, Oliver got a virtual pat on the back for doing well. I expected him to ignore the extra information when he got a question right but he enjoyed reading it. The second quiz Oliver completed was on his eight times table and again, strategies were given to either explain the correct answer or reinforce the method he was already using. He was really motivated to work through the questions and we chatted about the tips given which helped him even more. The third quiz he tried was on ‘earth and volcanoes’ from the geography section which he’s just started to learn about at school. The format was the same as the other quizzes but Oliver learnt a really valuable lesson in completing this one. He read a question and jumped to select the first answer without reading the other options. He got the question wrong and then kicked himself (not literally) for rushing when he would have actually selected the correct answer if he’d read them all. 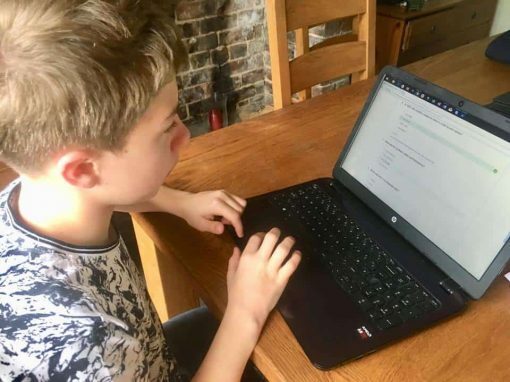 I feel that the skill of reading and answering questions properly is also incredibly important for children to master and the questions helped Oliver realise this as well as testing his knowledge at the same time. The last score for each quiz is recorded so that the children can compete against themselves if they want to complete the quiz again and their first choice of answer can’t be changed which means no cheating! Of course, this also means that children don’t always have to be supervised as their results are accurate. Bonus! I asked Oliver what he thought of the quizzes and this is what he said. For children, it’s a quick and user friendly way to test and extend their knowledge. For parents, it’s a great way of finding out what their children do know and the gaps in their knowledge that they can help them with. 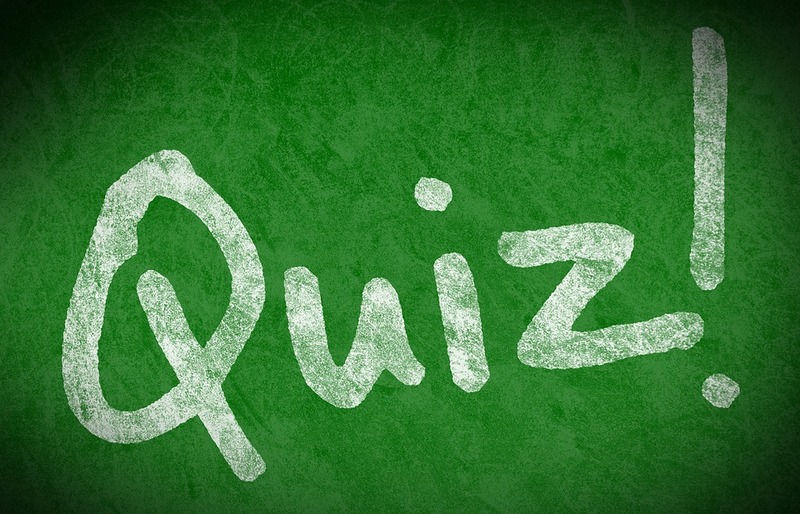 For teachers, quizzes can be set as homework and printed off (safe in the knowledge that pupils cant change any incorrect answers) so it’s a good way of extending and checking learning. Overall, we both really enjoyed the quizzes. I feel that used regularly, they would definitely boost Oliver’s confidence and help him with his revision and if the subscription charge was £5 rather than £10 per month I would definitely be tempted to sign up. Little and often is the key to success with anything and I do think these quizzes are a fast and fun way to move learning forward as well as monitoring and recording progress which other online quizzes don’t offer. Plus, Oliver agreed and to get a teenage son to agree to anything at all is quite an achievement! I was paid for this review in exchange for my honest opinion on the website. All views are my own.